Ever since people figured out that you can alter the signal of a tube amp by making those tubes work harder, the world became addicted to signal distortion. Today there are several types of this effect, both packed into a pedal form and delivered as a dedicated channel in modern amps. Overdrives and distortions take up the majority of these pedals. However, there is one type of distortion pedal that is not that often used these days, but has deep roots in history of rock music. If you are wondering what we are talking about, it’s the legendary fuzz. Here’s ProGuitarShopDemos rockin’ some classic fuzz. Fuzz effect is generally somewhere above the overdrive in terms of gain that is pumped into the signal, but bellow distortion. As a matter of fact, fuzz is the predecessor to the modern day distortion pedal. As an effect, fuzz is a bit more chaotic compared to the other two. With that said, it retains a lot of the core signal quality, which is exactly why it’s among the favorite effects to use in vintage rock and hard rock. There are many great fuzz pedals out there, but one of the most legendary ones is the Fuzz Face. Fuzz Face was originally manufactured by Dallas Arbiter, which is the one Jimi Hendrix used extensively during his career. So much so that using his name is a perfect way to describe just what type of tone Fuzz Face offers. The one we are looking at today is produced by Dunlop, but it is very much the same fuzz box that ’60s rock stars loved so much. Combined with a decent Plexi amp, you can still get that warm and rich tone that made this effect popular. Here’s another Fuzz Face JDF2 demo straight from Tone Factor on YouTube. 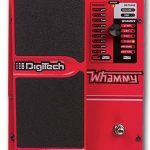 When you think of a guitar effects pedal, any pedal at all, you are probably thinking about a brick that has a stomp switch along with some control knobs. Not the Fuzz Face. This pedal is one of the rare guitar effects pedals that has a round design. It looks like a land mine. It is generally offered in red color, although there are several more versions available depending on the specific variation of the Fuzz Face. Once you open this thing up, you will notice two things. First of all, you will see that Dunlop completely replicated the original Dallas Arbiter circuitry. Secondly, it’s based around the same old Germanium PNP transistor. As you probably know, modern fuzz pedals are either Germanium based or Silicone based. The former is a bit more expensive but has a much warmer tone while the later is clinical in comparison, but also cheaper to produce. With Fuzz Face, you are getting the crème de la crème of fuzz boxes. Take a look at this schematic from Fuzz Central, and get even more info on this pedal from their helpful article here. There are two control knobs on the pedal – a Volume knob and a Fuzz knob. As simple as this setup is, those two knobs are just about everything you could ever need to dial in a great tone. The build quality of the whole unit is pretty durable, and you definitely don’t have to worry about dishing out some serious abuse during your performance on stage. This puppy can take it. Just like with any other modern pedal, you can power the Dunlop JDF2 Fuzz Face either by using a 9V battery or an adapter. Dunlop has a great line of power adapters which will work more than fine. Watch this cool demo from The Woodshed Journal of some major fuzz using this pedal. If you are familiar with fuzz pedals, there isn’t really all that much to say here. Germanium fuzz pedals have a pretty specific color of tone, and that is perfectly embodied in the Fuzz Face. If you listen to some of Jimi Hendrix live performances from the ’60s, that is exactly the type of sound this bad boy can deliver. Overall, it does a great job at giving you great fuzzy distortion for vintage rock or hard rock. In terms of tonal dynamics, Fuzz Face is one of the most dynamic fuzz pedals on the market. 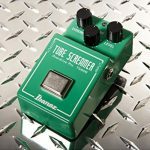 Everything you play is going to be shrouded in an abundance of signal distortion, however the core of the tone you are playing is going to remain mostly clean. This allows you to play heavy driving riffs while also retaining great clarity and definition when you jump up the neck to play some solos or licks. This is pretty much how Hendrix used it, and you what kind of results he was able to produce with that setup. When it comes to amounts of gain at your disposal, Fuzz Face is packing a pretty hot package. You can go anywhere from very subtle fuzzy tone that bites, to something that is so drowned in gain that you might have some trouble wrangling the tone at all. Here’s Dan’s Guitar Corner showing how he gets his vintage fuzz sound. Fuzz pedals are slowly coming back into the mainstream, just like tube amps did some years ago. Everyone is in search of that vintage tone, and fuzz pedals are a great part of that effort. Ever since silicone became the go to material, a lot of old school purists gave up on fuzz all together. However, germanium came back in style especially with boutique builders and their own fuzz models. Big names quickly caught up, and that is why we have the revamped Fuzz Face along with many other legendary fuzz pedals. At the end of the day, Dunlop’s Fuzz Face is definitely not the best fuzz pedal you can get at the moment, but it’s one of the most iconic. In a sense, you are buying into a true piece of rock history. It’s like having a box that allows you to hear Jimi Hendrix, Eric Johnson and many more legendary guitar players whenever you want to. That is the value this pedal offers, aside from a very solid yet conservative performance. If you’re not sure whether or not this is something you could be interested in, at least make sure to try one out. Chances are you will absolutely fall in love with it.